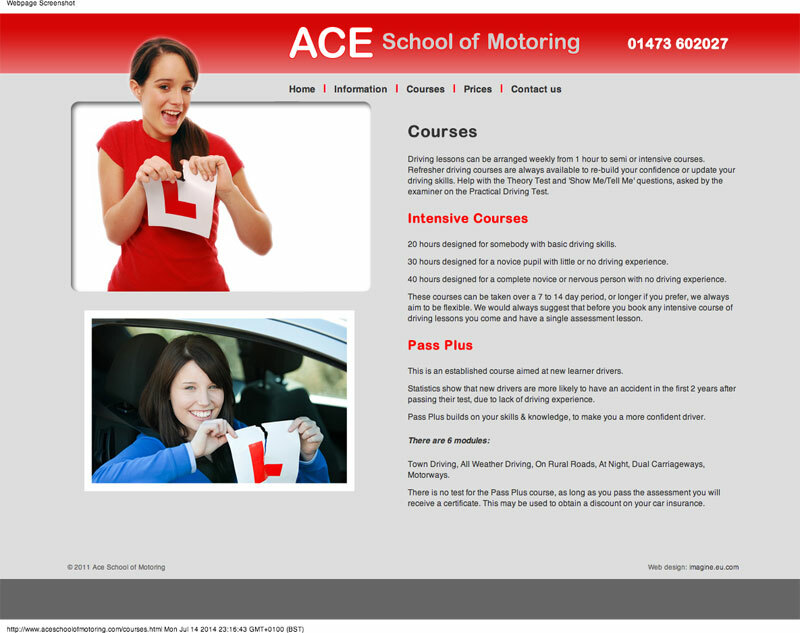 ACE School of Motoring provide driving lessons in Ipswich and surrounding areas. 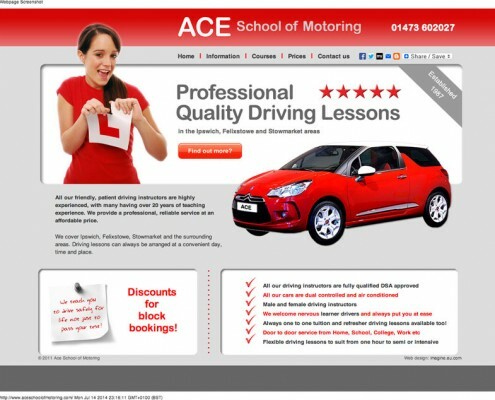 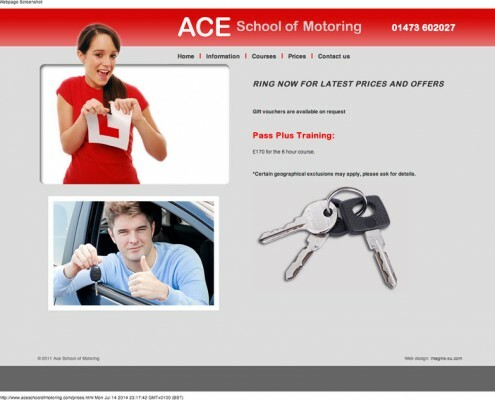 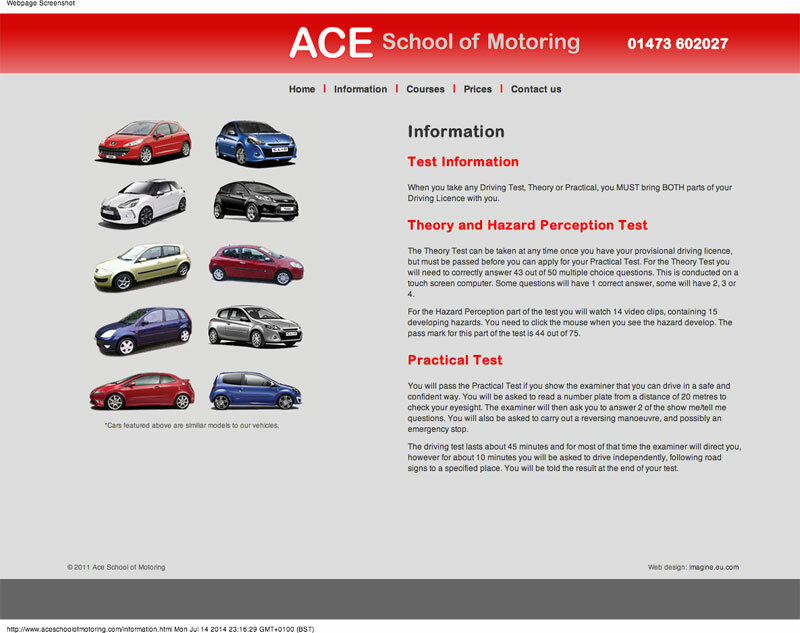 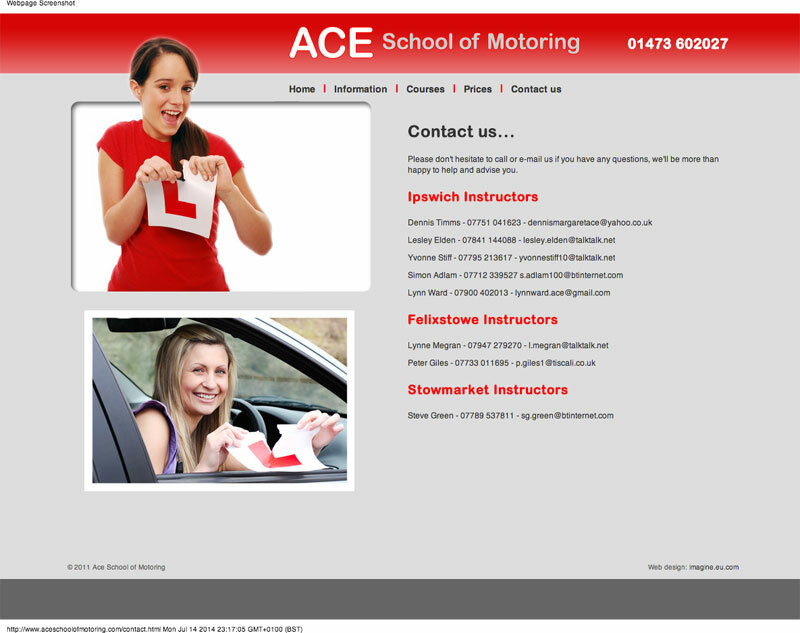 ACE School of Motoring wanted a new website to help promote their services. 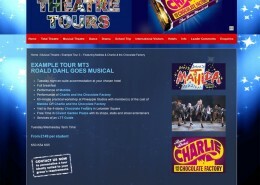 They commissioned a graphic design for the new site but specifically wanted all text on the site to be easily read by search engines as part of their SEO Strategy. 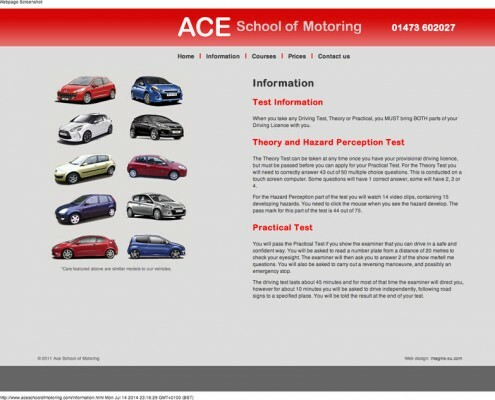 We took the designs and extracted all the basic graphic elements before rebuilding the design in a STRICT HTML & CSS based framework.